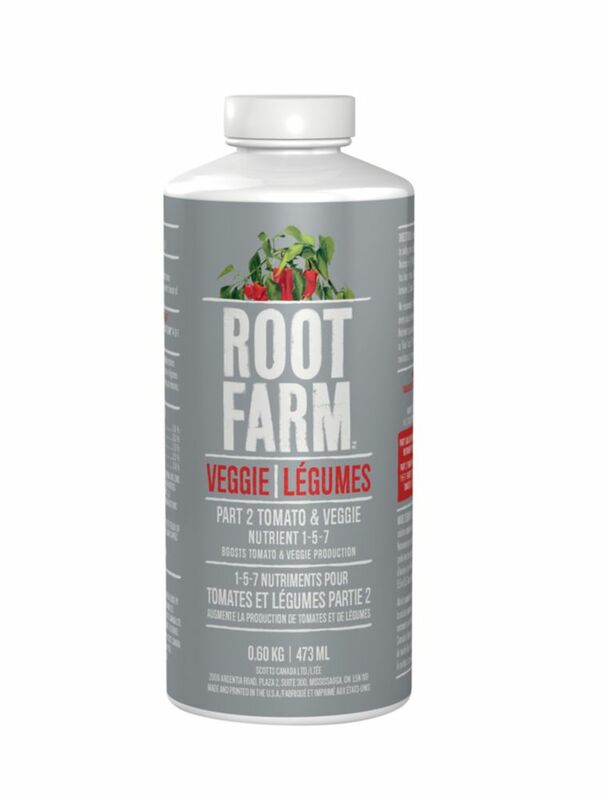 Ideal for growing tomatoes, peppers, cucumbers and more, Root Farm Part 2 Tomatoes & Veggie Nutrient 1-5-7 delivers a boost of phosphorus and potassium to support flower and fruit development. This product is ideal for use with water-based systems or soil-less growing mixes like Root Farm Hydro Potting Mix. To ensure your plants get all the nutrients they need, mix with Root Farm Part 1 Base Nutrient 4-0-1. This 6 in clear vinyl saucer protects floors and furniture from plant dirt and water. Keeps plant out of excess water. Made with extra-thick construction, this plastic saucer is designed to provide extra durability and longer life. Grooves help keep plants out of the water, too. No more stains on furniture, floors, carpet or decks with these strong, long-lasting saucers. When designing your raised garden bed use anchor brackets for your base layer when creating a long garden (more than two boards long on any side) or live in a climate where frost push out is a concern. The saw-toothed barbs along the stake secure your raised garden or garden edging to the ground and are strong enough to resist frost-heave. Anchor brackets are especially useful for landscape borders which are generally long runs of boards that don't connect into a loop or square. The barbed stake will stabilize your edging against frost push out or from being loosened by mowers or any human disturbance. You can only use anchor brackets on the base layer of your garden. If your design calls for additional layers you will use 2 inch Stacking Brackets to connect your additional layers. 2 inch 4-Way Bracing Brackets also available for more complex connections. Our Garden Bed Oil Application Package includes all the tools necessary to apply our Cedar garden Bed Oil to your project. The lamb's wool stain pad with handle works well on the original series products as well as the Rustic series. Part 2 Tomato & Veggie Nutrient 1-5-7 Ideal for growing tomatoes, peppers, cucumbers and more, Root Farm Part 2 Tomatoes & Veggie Nutrient 1-5-7 delivers a boost of phosphorus and potassium to support flower and fruit development. This product is ideal for use with water-based systems or soil-less growing mixes like Root Farm Hydro Potting Mix. To ensure your plants get all the nutrients they need, mix with Root Farm Part 1 Base Nutrient 4-0-1.